Record stores are back. Here's what you need to know about vinyl in West Virginia. And for today’s interview, we’re turning the focus from the artist to the places that spin, share and host their music: record stores. 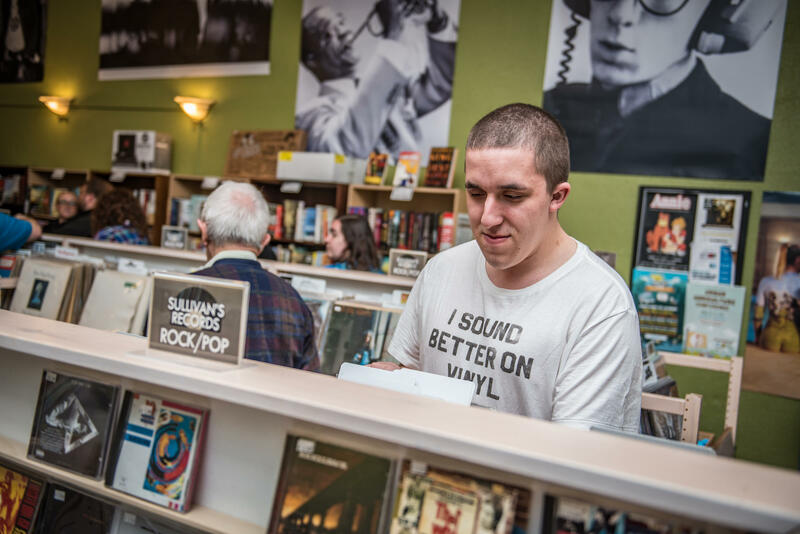 With vinyl record sales increasing for the eleventh consecutive year in 2016, and growing to a $1 billion industry, local record stores continue to act as hubs for music community and discussion. But how does a local band get their new music stocked on shelves alongside best-sellers like Thriller and Rumours? And why do record stores matter when streaming is still the flavor of the day? We spoke with some of West Virginia's favorite record stores (including Charleston's Sullivan’s Records, Princeton’s Cheap Thrills and Shepherdstown’s Admiral Analog’s Audio Assortment) to tell us what’s up with vinyl and why record stores are an asset to the West Virginia music scene. 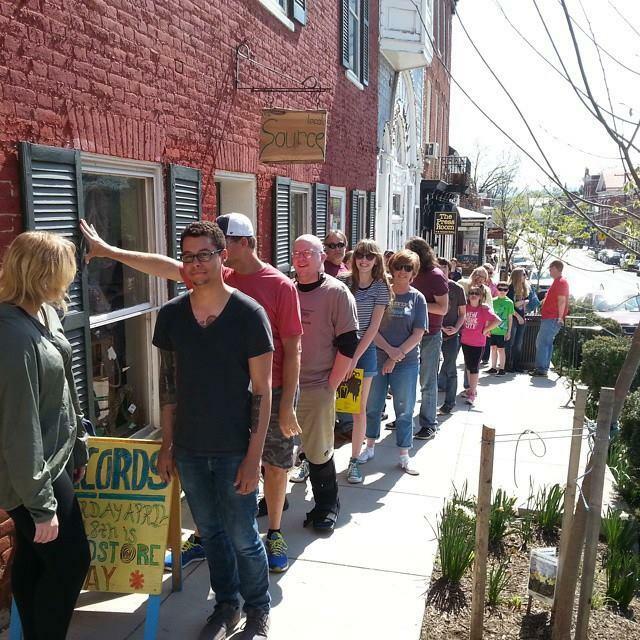 Record Store Day is celebrating its 10th year of independent music sales, an annual event in April that West Virginia record stores see as a holiday of sorts. 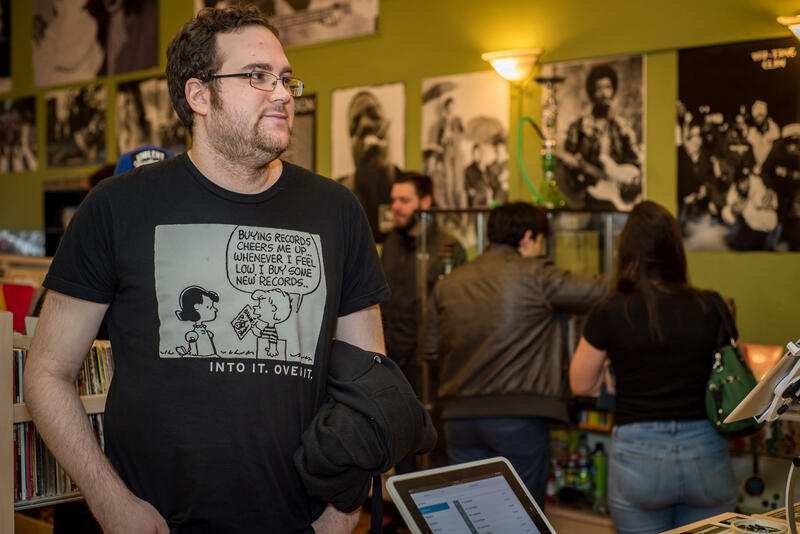 How do locally-owned record stores get started? “This was a dream of mine since I was around 14 years old,” says Andrew Barton, owner of Admiral Analog’s Audio Assortment. “I found myself in a place in my life where I was 35 and it really seemed like “do or die” time. I had never been happy with my work/different jobs, I had a little money saved, and every possible little detail and circumstance fell exactly into line in exactly the right way in early 2014. I knew I had to have a go of it and at least try to make my dream a reality. 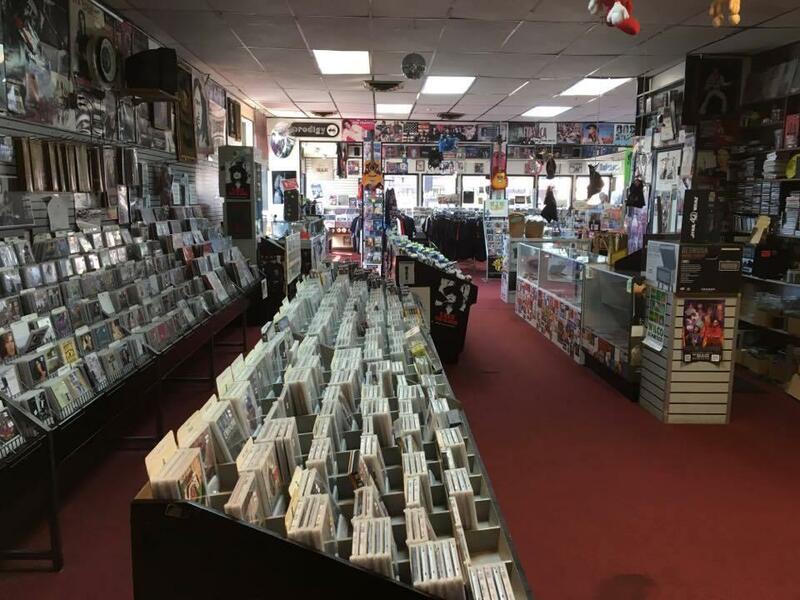 “I went to college near Charlotte, North Carolina, in the 1990’s, and there was a store there called Repo Records that sold new and used CDs,” says Wyatt Lilly, owner of Cheap Thrills in Princeton. “At the time, the idea of new and used inventory was new, and I thought that a store like that would do well in West Virginia and would be relatively inexpensive to start. 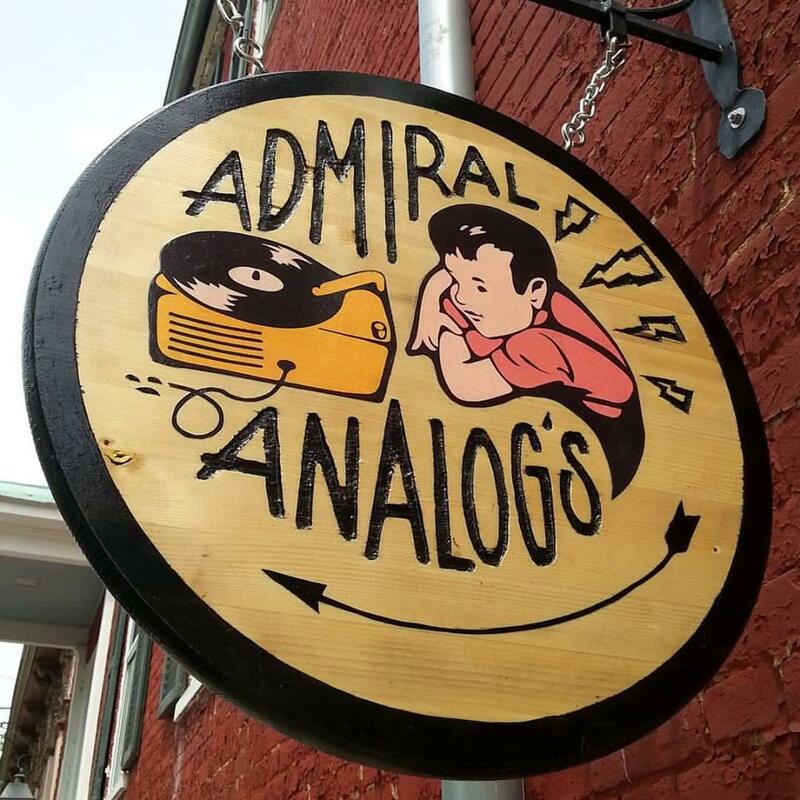 Admiral Analog's Audio Assortment can be found in Shepherdstown, West Virginia. What's so special about a local record store compared to a major retailer? Barton agrees and adds that as far as record stores go, independent shops are all that is out there. “That there really aren't any major retailer record stores. There are a few corporate chain stores that have a small record section, but if you want a store of purely records/CDs/tapes/music, this is the current reality. Indie-only. And I think that's great. I'm very proud that independent business has cornered this market. So, record stores, true record stores, are unique and important and special just in and of themselves. Each one is an independently-crafted labor of love. Each indie record store is a one-of-a-kind experience, tailored by the proprietor,” Barton says. 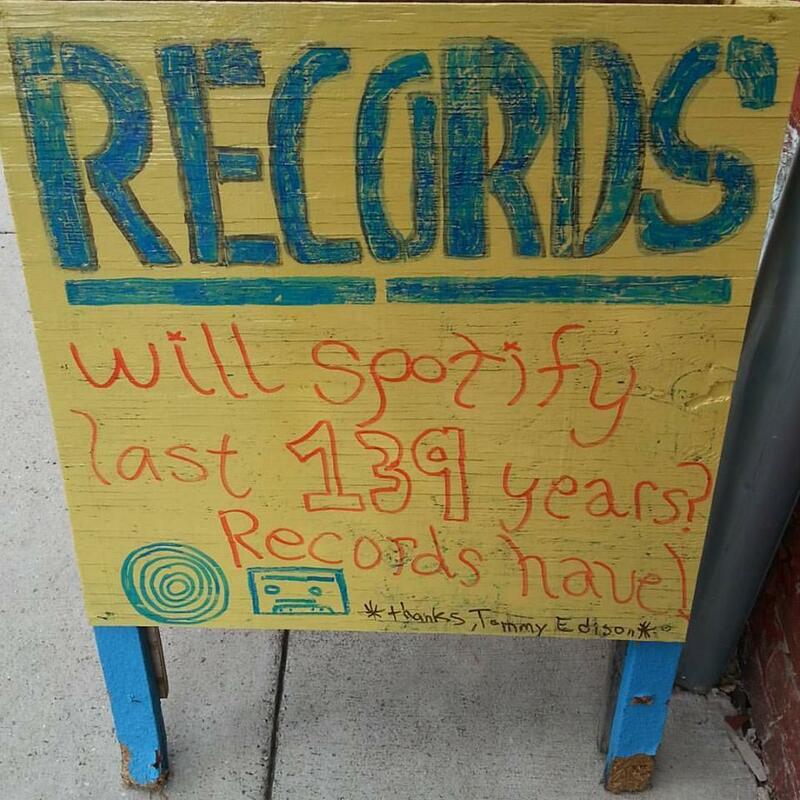 A sign outside Admiral Analog's asks, "Will Spotify last 139 years? Records have." Fans at a Record Store Day event at Sullivan's Records in Charleston, West Virginia. What's a typical record store fan? And has that changed in recent years given vinyl's resurgence in popularity? Music passion leads to music lines. Fans queue outside Admiral Analog's in Shepherdstown, West Virginia. Cheap Thrills Records can be found in Princeton, West Virginia. What advice do you have for someone who wants to open a record store? Or even a local act who wants their music in the store? 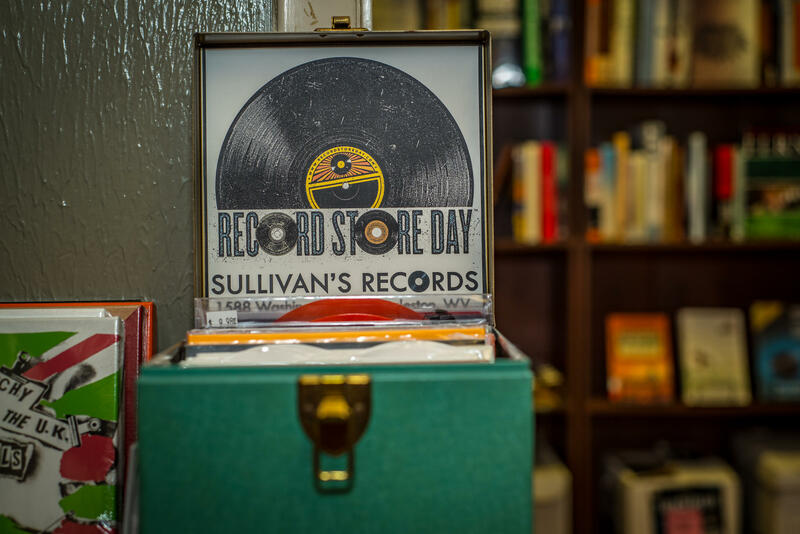 Just make sure to say "vinyl" instead of "vinyls," Sullivan's Records owner advises. And if you’re a local act wanting to sell your records alongside Thriller and Rumours, just know each of these record stores are here to help. “We’re always happy to put local music in the store on consignment. Artists usually just show up with a small box of albums, and we get them in the store right then. I personally consider it to be the local record store’s duty to stock local music,” says Lowe. Hear more #WVmusic on A Change of Tune, airing Saturday nights at 10 on West Virginia Public Broadcasting. Connect with A Change of Tune on Facebook, Twitter and Instagram. And for more #WVmusic chats, make sure to go to wvpublic.org/wvmusic and subscribe to our RSS / podcast feeds. Since the show began almost two years ago, A Change of Tune has highlighted some of the best up-and-coming artists out of these West Virginia hills with podcast-y chats ranging from Bishops to Rozwell Kid, The Sea The Sea to Bud Carroll and more. But those interviews have been a bit infrequent, and since West Virginia Day is upon us (not to mention A Change of Tune’s second birthday), we thought we’d do something special: 30 days, 30 brand new #WVmusic interviews that range from Morgantown alt-rockers and Parkersburg singer-songwriters to West Virginia music venues and regional artist management and beyond, all of which contribute to this state’s wild and wonderful music scene.